Chandigarh 29th September:- Heartly Wishes to Master Raunit Kumar Hallan on his 1st Birth Anniversary. 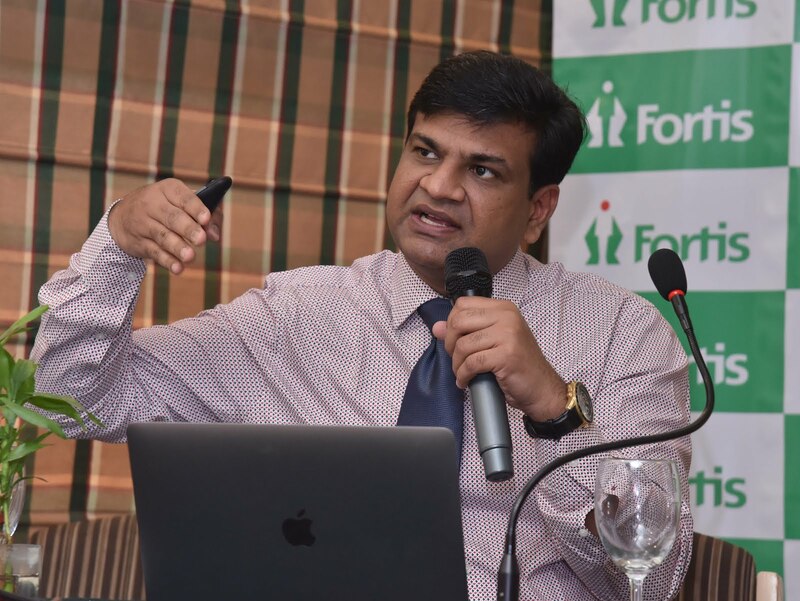 Jalandhar 29th September:- In a boon to kidney failure patients, robotic kidney transplants have now become a reality and are being successfully conducted at Fortis Hospital in Mohali. Unlike the traditional kidney transplantation where the patient receives a kidney through a large muscle cutting incision (approximately 25-30 cms), in Robotic kidney transplant, the kidney is placed through a small 5 centimeters incision, in the belly button, without cutting any muscle. As a result of this the blood loss is significantly less, chances of infection are minimal, there is hardly any pain and the patient's recovery is quick, informed Dr Priyadarshi Ranjan, Senior Consultant, Urology, Robotics and Kidney Transplantation, Fortis Mohali. It's been a significant revolutionary medical advancement in the lives of the patients, which is very helpful for their recovery. Now Chandigarh becomes the third city in the country and tenth center in the world to regularly offer this highly sophisticated surgery. Till date, twelve patients have received a successful kidney transplant through this technique at Fortis Mohali. The latest surgery was done on 27th September at Fortis Hospital, Mohali. Achieving this extraordinary surgical feat places Dr Ranjan in top ten surgeons in the world, who are capable of doing a successful Robotic Kidney Transplantation. 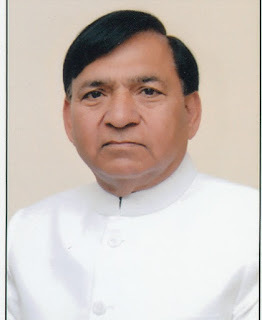 Dr Priyadarshi Ranjan said that till date we have done twelve Robotic Kidney Transplants, and all of our patients are living a healthy life with a functioning kidney now. Unlike the traditional regular kidney transplantation, where the patient receives the kidney through a larger muscle cutting process, robotic surgery is conducted with only a small incision and involves no cutting of muscle. The Da Vinci robot is used in a specific way to ensure tremor free movement of the instrument thus causing no damage to the graft kidney. This ensures minimal chances of infection and faster recovery of the patient and the donor. Sirsa resident Boti Devi(55) donated the organ to her son Sandeep (23) after he was admitted to the hospital with renal failure. Dr Priyadarshi Ranjan said that the family was apprised about the latest robotic technology and its benefits, including lesser risk of infection, lesser pain, and a faster return to normalcy. Higher magnification and finer scaled miniaturized movements of robotic instruments ensured greater precision in this surgery. Dr Priyadarshi Ranjan said that it has been a privilege to perform Punjab's first robotic kidney transplant at the hospital considering it is the first of its kind in the stat. He informed that the team worked together and we are thrilled that all the patients and donors are doing well and all the operations have been a great success. These patients were on dialysis for a varying duration. He said that the robotic surgery involved much lesser pain. He was initially reluctant, but the doctors convinced him about the benefits. He is happy that he went ahead with it. Narrating her experience, Beena said she decided to give her kidney for her husband's normal life," who added that she did her own research about the surgery before going ahead with it. Patients suffering from chronic renal diseases tend to prefer renal replacement compared to dialysis for various reasons. Only three centers in India including Fortis Mohali have been regularly and actively performing these transplants as of now, with excellent results. Robotic kidney transplant is going to be the future in next decade. The incidence of adverse medical events and complications is one fifth to one tenth of a traditional kidney transplant and the benefits are immense. The kidney function and overall patient's recovery is far superior than a traditional transplant.The patient has a very small incision so his natural daily life is not altered after the transplant. The problem however is of it being a technically complex procedure and hence there are only a few surgeons who are able to perform this procedure and deliver good results. The learning curve is steep, thereby dissuading many surgeons from taking it up, hence it is practiced only in select elite institutions of the world. Chandigarh 29th September:- Dev Samaj Society along-with its Educational Institutions came forward in support of flood victims of Kerala and donated an amount of Rs.10 Lacs, out of which 5 Lacs were contributed to Kerala's Chief Minister's Relief Fund and 5 Lacs for Communist Party of India, which will also be used for rehabilitation of Kerala Flood victims. A ceremony to announce donation for Kerala Flood Relief fund was held at Dev Samaj College of Education, Sec 36 here. 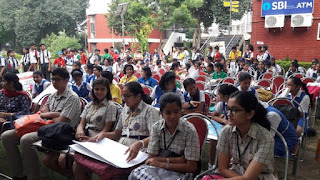 The same was attended by Nirmal Singh Dhillon, Secretary, Dev Samaj and Chairman, Dev Samaj College of Education, Sector 36-B, Chandigarh, Dr. Agnese Dhillon, Principal of Dev Samaj College of Education, Sector-36B, Dr.Jaspal Kaur, Principal, Dev Samaj College for Women Sector-45, Chandigarh, Loveleen Bedi Principal, I.S.Dev Samaj Sr.Secondary School, Sector-21, Chandigarh, Sudhir, Principal Dev Samaj Vidya Niketan Higher Secondary School, Gurgaon, K.Natrajan, Member Dev Samaj Pratinidhi Sabha, & Maanvinder Singh Mangat, Chief Administrative Officer of Dev Samaj Head Office, Sector-36. Speaking on the occasion, Nirmal Singh Dhillon, Secretary, Dev Samaj and Chairman, Dev Samaj College of Education, Sector 36-B, Chandigarh said that Dev Samaj Society has been contributing towards the society regularly. The society donated Rs.4 Lacs in Jammu & Kashmir Flood Relief Fund in 2014. Dev Samaj Society has adopted two families in Kashmir and also constructed houses for them. Dr. Agnese Dhillon, Principal of Dev Samaj College of Education, Sector-36B, Chandigarh said that, " 'Wall of Kindness' is another noble initiative taken by Dev Samaj Society, whereby needy people can pick up clothes and other items of daily use as per their choice. Needy students of Dev Samaj Institutions are given fee concession to pursue their studies, which is a regular feature. Chandigarh 29th September:- The installation ceremony of District assembly 3080 was held today at Baba Makhan Shah Lobana Bhavan. Rotaractor Gaurang Gupta was installed as the D.R.R (District Rotaract Representative) for the year 2018-2019. He will represent and head the district that consists of more than 51 Clubs located in Chandigarh, Punjab, Haryana, Himachal Pradesh, Uttar Pradesh and Uttarakhand with its strength of over 4000 members for the service year 2018 - 19 (i.e. from July 01, 2018 till 30th June 2019). The newly installed D.R.R. Gaurang Gupta, his council and the Club Presidents and Secretaries, pledged to serve the community today to their best of the abilities for a happier future. D.R.R. Gaurang Gupta outlined the projects District will be doing in the year 2018-2019. Major projects included Mahadaan-Blood Donation Drive, Annapurna- Feeding the underpriviledged, Tree Plantation and Traffic awareness Drives etc. Sharing his vision District Rotaract Representative Gaurang Gupta said that we are the youth of the society. The collective action of youth can easily address underlying social problems and bring in a change. We have to be the change to bring about the change, with the help of 4000 Rotaractors, it is the opportunity to pursue his passion of service projects. He will dedicate his time to servicing the nation by helping the underprivileged, creating awareness about the social issues and doing as many community service projects as we can. He further shared that we will be awakening the power of collective effort and impact, positive effort of youth i.e. over 4000 rotaractors will help in fulfilling our theme "Its Beyond Happiness". He will strengthen our clubs by encouraging them to increase membership, and implement more humanitarian service projects to benefit the needy. In addition to this, Rotaractors will also be working on the vision of Rotary International President Barry Rassin who has given a theme: "Be the inspiration". He further interacted with the young Rotaractors and inspired them to bring about a change in the world by their collective energy. 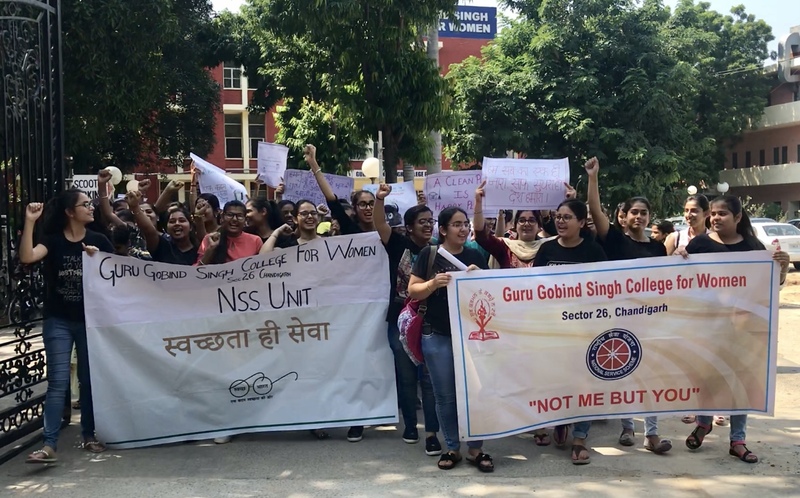 Chandigarh 29th September:- NSS volunteers of Guru Gobind Singh College for Women, Sector 26, Chandigarh celebrated 'Swachchta hi Sewa' campaign by taking out a rally in and around the College campus stressing on keeping our environment clean. Volunteers also presented Nukkad Natak highlighting the importance of cleanliness. College Principal Dr. Jatinder Kaur applauded the efforts of the volunteers and gave away prizes to the winners of poster making and slogan writing contest held on the occasion of NSS day. Chandigarh 29th September:- Aryans Group of Colleges, Chandigarh today organized its 12th Cultural Function "Rajni" on the theme "Anti Drug Campaign" at Tagore Theatre, Sector- 18, Chandigarh. Engineering, Law, Agriculture, Pharmacy, Education, Nursing, Management, Polytechnic etc students of Aryans Group presented colourful items in various cultural activities. The function started with the lamp lighting ceremony by Dr. H.K Bali, Director, Cardiologist, Fortis Hospital, Mohali; Founder, Prof Roshan Lal Kataria; Treasurer, Rajni Kataria; Chairman, Aryans Group, Dr. Anshu Kataria; Director General, Dr. Parveen Kataria; Prof. B.S Sidhu, Director; Dr. Raman Rani Gupta, Principal, Aryans Group etc. On the occasion Renowned Bollywood Artist Pardeep Singh Sran "Cutiepie" Fame, Punjabi Singer Balraj, Kashmiri Mimicry Artist Anwar Kasana enthralled the audience in their style. Students of more than 20 different States studying at Aryans presented various Cultural items and Folk Dances and represented their States on the Stage. The function started with the Ganesh Vandana as the welcome dance by Yapik Ekke & team from Arunachal Pradesh. Students showcased their talent though lively and exuberant performances of various items including Bollywood Dance by Anishka & Group. Shabnum & group from Jammu & Kashmir recited a soulful Prayer; Chonung & Group from Tripura & Nagaland performed Bamboo Dance; Yanga Nilling & group performed Arunachali Folk Dance; Atul Raj & Team performed Bhojpuri Dance. Himachali students diverted the audience towards their State with their Himachali Natti. The solo Singing & dance performances, folk orchestra and folk songs were equally engaging. Different plays including Baji Rao Mastani, Sharab Bandhi, Funny Dance etc left a meaningful message for the audience. Play by Vandana & Group on "Say no to Drugs" enlightened the youth & audience against the evil effects of drugs. Ramp Walk & Modeling in different cultural attires by the students sashayed the ramp. The exhilarating and energetic performance of Bhangra by Prabhjot, Charanjeet & Group brought out lively and colourful life of rural Punjab and made the audience of to tap on their feet. Dr. Anshu Kataria congratulated the students. He said that Aryans Group has students from all over India who are studying in various courses. The students presented their respective cultures through their dances in the function. He added that besides studies, extra co-curricular activities are equally important. They help in the overall development of the students. Chandigarh 28th September:- A unique showcase for Furniture & Interiors- 'Furniture & Home Décor Expo 2018', a premier exhibition for modern and contemporary designer furniture & Home decor products, has started at Parade Ground , Sec 17 here. The Expo which will be on till October 1, 2018, is catering exclusively to architects, designers, trade professionals and discerning customers. The Expo has been put up in response to the rapidly changing interior design demands and home decor tastes of the Indian market, by I Ads & Events, a company which specialises in putting together elaborate one- of- a- kind Expos. Riyaz Arif, Owner of I Ads & Events, which has organised the showcase , said that the show is all about improving the indoor & outdoor surroundings of a living or workplace to make people's lives better. Decorating your home interiors not only gives you an aesthetic feel, but it also creates a pleasant atmosphere at home. It's a must visit Expo to explore wide range of styles, sizes and finished products so that you can easily match your furniture with your current decor. The show makes it easier for you to hand pick the interiors that suit your taste and budget. From home decor items to furniture, one will get them all at this mega Expo. About 87 stalls have been put up and are spread over a sprawling area of 20,000 Sq.ft. On display is antique furniture, office furniture, modular kitchens, massage chairs, garden furniture & more. The products which will beautify your home interiors are a big draw. These include enamoring glass paintings, creatively made decorative items, an array of art & handicraft items, choicest artifacts etc. The options of window panels/ blinds, chimney & hobs, rugs & carpets are innumerable. Exhibitors are displaying modern & contemporary furniture in Italian and European interior designs for homes, offices, villas, luxury apartments, service apartments, hotels, cafes, restaurants, and other fine living spaces. What's more, there are colorful wall-hangings, high quality beds and bed linen, elegant lamp shades, and upholstery material in unique designs and pastel colors. Home furnishings products like mattresses, curtains & blinds, artificial flowers, paintings are beckoning visitors. Modern kitchen & bathroom accessories are available. It is noteworthy that the Expo has come to be known as the leading 'Design-Oriented' trade fair in interior market. There is a wide range of handicrafts and artifacts at the Expo. Each handicraft is unique in design . One can also shop for foldable picnic tables, ladders and a range of health and fitness equipment. Chandigarh 28th September:- Big Bazaar, the flagship hypermarket retail chain from Future Group is back with its mega property, 'Big Bazaar Public Holiday Sale' from 29th September to 3rd October. Making it the biggest ever Public Holiday Sale, for the first time customers can enjoy free shopping throughout the exciting 5 days. During Big Bazaar Public Holiday Sale, customers can shop for Rs. 4000 and get Rs.4000 back through cashback and vouchers. Customers will get Rs. 4000 back through a cashback of Rs.500 in their Future Pay wallet, electronics voucher worth Rs.1000, home ware & kitchenware voucher worth Rs.1000, home fashion voucher worth Rs.500 and fashion voucher worth Rs.1000. Big Bazaar Public Holiday Sale will be held at 353 Big Bazaar, Food Bazaar, fbb and HyperCity stores at 142 cities across the country. Big Bazaar will offer exciting discounts and amazing deals on a wide range of products like grocery items, home fashion, apparel wear, electronic products and much more. In continuation to the 'Har Din Lowest Price' promise, Big Bazaar has dropped the price of over 1500 everyday use products. Speaking about the Public Holiday Sale, Sadashiv Nayak, CEO, Big Bazaar said that with each season of the Public Holiday Sale, we are delighted to see the growing support of our customers towards Big Bazaar. We have not only increased and enhanced our offerings but this year introduced Free Shopping offer by giving back Rs 4000 value of cashback and gift voucher on shopping of Rs 4000. We invite our customers to begin their festive preparations by making the most of the free shopping. Customers using HDFC debit and credit cards can also enjoy an additional 7% discount on transactions of Rs. 3500 and above. Not only this, customers can grab the latest fashion for women, men and kids at a special discount.Apart from this, customers can enjoy a seamless shopping experience by booking a Fast Billing pass on https://www.bigbazaar.com/fast-billing which allows the customer to schedule a time for easy billing. 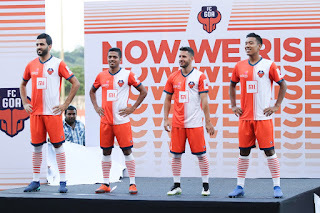 Chandigarh 28th September:- FC Goa today launched their official new home kit for the Hero ISL 2018-19 season at an event held at Bambolim Athletic Stadium. This year the Gaurs will don an orange coloured kit having worn blue in the first four editions of the tournament. 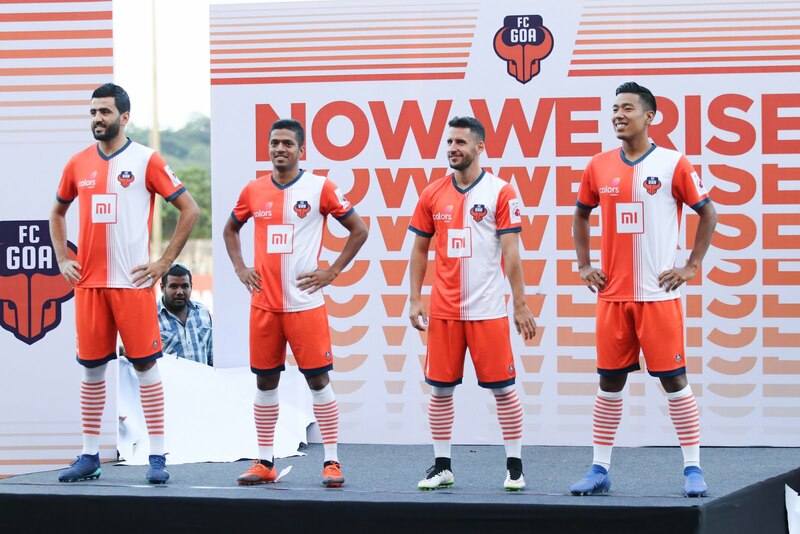 The jersey features a contrast of bright orange and white with orange stripes down the middle, and FC Goa's trademark blue sleeve and collar trims. The orange symbolizes the Gaurs' fire and focus to win the ISL trophy. It also symbolizes their indomitable team spirit and an attitude of always rising to the occasion. The jersey pays homage to the Gaurs' annual campaign #NowWeRise. The jersey launch saw players Mandaar, Coro, Jahouh and Sana take the stage to unveil the new jersey amongst much cheering from FC Goa's unrivalled fan base. The players spoke about their excitement around the new jersey and how they are looking forward to a fantastic season. Speaking about the new look said Sana said that the new jersey looks great. It has a powerful and aggressive look to it and I'm looking forward to donning it in the coming season. Mandaar echoed his thoughts. The jersey looks completely different from the earlier ones. Love the new look. The jersey reveal was followed by FC Goa's first pre-season friendly against Kolkata Giants Quess East Bengal. Chandigarh 28th September:- The famous snapper Fdaikk Mehkma Gagan Basra is in the news again. Gagan is well know in all age groups because of his snapchats. Gagan Basra has recently been working on his new projects. 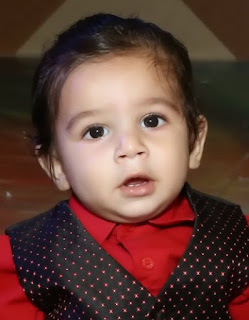 Gagan Basra has recently feated in Sajjan's song Jungle Ch Votan and he has starred in the video for this song. Gagan Basra has recently released his youtube channel Fdaik Records. He has been posting his work on the channel. Gagan will be posting more of his upcoming projects on his channel. Chandigarh 28th September:- "Sui Dhaaga" the Varun Dhawan & Anushka Sharma starrer is themed on tailoring & fashion design. Budding Fashion Designers of Indian Institute of Fashion & Design (IIFD), Sec 35 here watched the First Day First Show of the film at Elante Mall. Vimi Vansil Director IIFD, said that the film talks about the Idea of 'Make in India' and inspired our Institute's budding designers to devote their excellence for the country, to create brands that are made by Indians and in India. Students correlated the whole movie with the concept of sewing, garment construction etc that they are learning at Indian Institute of Fashion & Design (IIFD). The story of success & hard work with the help of 'Sui Dhaaga' (Sewing Machine) portrayed in the film was a fabulous concept and inspired the young designers not to give up in any situation. The movie's theme motivated the fashion designing students for entrepreneurship & gave wings to their fashion dreams of having their own garments business. Chandigarh 28th September:- Mercedes-Benz, the leaders of the luxury car segment in India, launched the most versatile E-Class of all time – the all new E-Class All-Terrain. The All-Terrain comes equipped with a four-cylinder diesel engine that generates 143 kW (194 hp) of power and 4MATIC. A special model-specific feature, All-Terrain transmission mode, is inspired from the Mercedes-Benz GLE range which offers off-road drive settings. The comfortable AIRBODY Control suspension configuration and the large wheels with higher sidewalls increase ride comfort on rough roads making it a path-breaking masterpiece to wear the Three-Pointed Star. This first-of-its-kind vehicle from Mercedes-Benz was launched by Roland Folger, MD and CEO, Mercedes-Benz India. 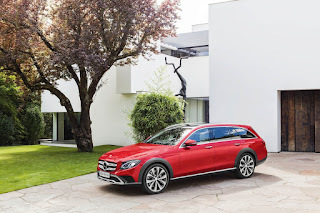 Roland Folger, Managing Director & CEO, Mercedes-Benz India said that the Mercedes-Benz E-Class All-Terrain has a powerful, unique appearance coupled with go-anywhere capability which differentiates All-Terrain from a classic estate. It features a range of technologies that enhances driving pleasure and offers unmatched luxury with rugged appeal. The All-Terrain has the elegance and luxury of an E-Class combined with the practicality and versatility of an SUV, with the go-anywhere capability of an off-roader. He further added that our strategy for the Indian market of launching more and more products from our global portfolio is very well received by our discerning customers. The E-Class has been one of our most successful products for the Indian market and we are positive of the market response for the E-Class All-Terrain as well. With this launch, we now have an array of E-Class variants from our global portfolio now available in India. Chandigarh 28th September:- Foodpanda, India's fastest growing food delivery company today shared that it has entered its 20th city, as part of its aggressive expansion across the country. In addition to the 7 cities where Foodpanda had an active Delivery Partner network in place, 13 cities have gone live starting today with Foodpanda's Delivery Partner network on ground. The newly launched 13 cities include Chandigarh, Jaipur, Kanpur, Lucknow, Indore, Ahmedabad, Nashik, Nagpur, Mysore, Bhubaneswar, Guwahati, Visakhapatnam and Coimbatore. With Foodpanda's robust Delivery Partner network on ground, consumers and restaurant partners in Chandigarh will benefit from a seamless experience. The Foodpanda platform will also be able to serve more customers as well as bring them a wider choice of restaurants and cuisines, with lower ETAs and efficient deliveries in Chandigarh. Over 3,000 restaurant partners have been on boarded to the platform in these 13 cities over the past weeks alongside 5,000 Delivery Partners. Foodpanda aims to grow the number of Delivery Partners to 20,000 in the next 6 months across these cities. Speaking on the company's expansion in 20 cities, Pranay Jivrajka, CEO at Foodpanda India said that we are thrilled to expand Foodpanda's delivery network to 20 cities across the country including Chandigarh. We are in the midst of a fast-paced nationwide expansion with an ambition to serve a billion Indians. We are confident that our cutting edge technology and unique local insights will make Foodpanda, India's largest and most preferred food experience platform. He further added that Foodpanda is also learning from Ola's extensive experience of building hyper local solutions to solve for unique local challenges. Being a part of the Ola platform, Foodpanda will explore opportunities to synergise its services and efforts of delivering superior food experiences to cater to a wider pool of customers across these cities. Foodpanda, had also announced its intent to on board an additional 60,000 Delivery Partners on to its network by the end of October. Tens of thousands of Delivery Partners have already been on boarded over the past month with Foodpanda expecting to achieve this target well ahead of time. Chandigarh 27th September:- PTron, the leading mobile accessories brand, announces the launch of 'Rover' CSR chip-equipped Bluetooth earphone. 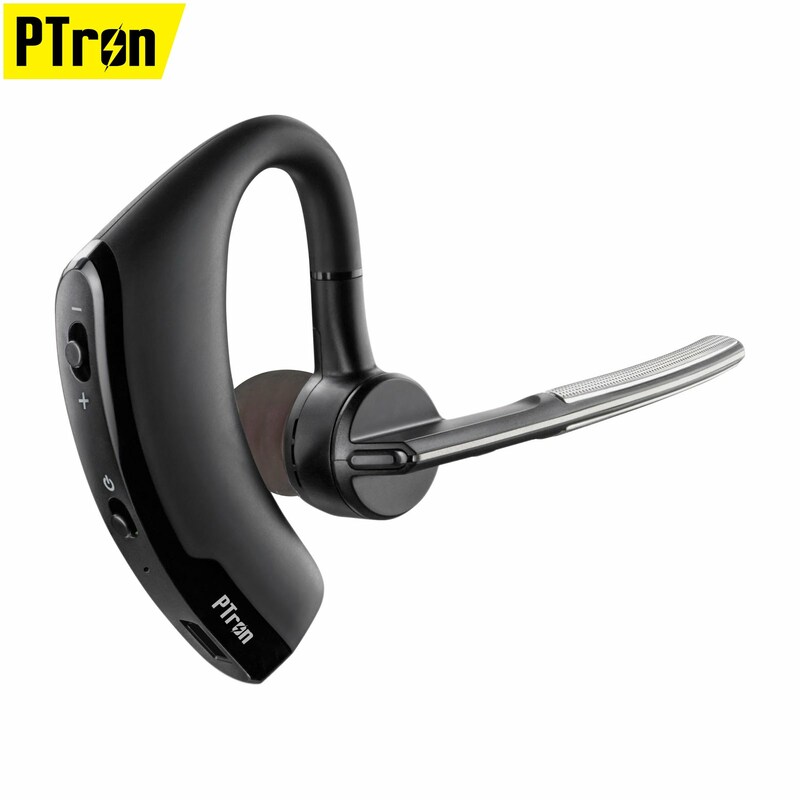 PTron Rover is a perfect hands-free mobile companion for answering calls and for a hassle-free music experience. It features ergonomic urban lightweight design, wireless Bluetooth connectivity, HD microphone, voice commands, and long-lasting polymer battery. PTron Rover is engineered for high definition voice calls with a microphone that ensures exceptional call quality. It is easy to use due to the multifunction button and a dedicated power switch. It is quick and easy to charge with the micro USB charging cable. PTron Rover is fully loaded with a long list of impressive features including CSR Bluetooth chip set for strong wireless connectivity and low battery consumption, optimal sound experience, A2DP streaming that allows you to listen to your mobile content such as music, 280-degree rotatable mic, interchangeable sides, and 90mAh battery which provides talk time up to 8 hours on a single charge. Commenting on the launch of PTron Rover, Ameen Khwaja, Founder-CEO of PTron said that in the current scenario wireless technology is getting better and better with a lot of benefits. When we talk about Bluetooth audio devices, we generally look at only one aspect that is music. PTron gives equal importance to music and communication. PTron Rover makes talking and listening to music on-the-go easy. Our Bluetooth earphones are built to last and designed for all-day wear, making them ideal for frequent users both inside and outside a work environment. Chandigarh 27th September:- Popular Indian premium leggings brand - Softline Leggings, is set to revamp their brand identity, and get on-board a new face - youth icon, Anushka Sharma as brand ambassador. Softline leggings, from the house of Rupa & Company Limited; one of India's largest knitwear organization, has always pushed the envelope in terms of innovation, variety and comfort. Their range of premium leggings are wardrobe essentials for women seeking ease with a fashionable edge. Their primary customer base is young, fun-loving women, making actor Anushka Sharma an organic fit to represent the brand. Her youthfulness and passion resonates well with the overall consumer psyche. With its new mantra, 'Effortless You', the brand aims to reach out to young women, who are comfortable in their own skin and live life on their terms, effortlessly. Softline fulfils their need for comfortable yet stylish clothing, in 100+ colours to suit their every mood. Speaking about the new brand identity, Vikash Agarwal, President and Brand Director, Rupa & Company Limited, said that Softline is a premium leggings brand. Its revolutionary fabric and colour variety make it a unique proposition for customers, which no other competition offers. The new philosophy 'Effortless you' resonates with the brand and we are happy to have Anushka Sharma on-board who imbibes this motto. She has an emotional connect with the TG and fits perfectly with our new positioning. Brand ambassador Anushka Sharma said that happy to be associated with Softline Leggings as it connects with young adults who want to be comfortable in whatever they do or wear. The brand is focused towards its clientele and offers various designs that are contemporary and cool. Chandigarh 27th September:- It's time to let efforts flow where they need to! India's North-East region has been heavily hit by floods throughout the monsoon, and the good people at #SOCIAL have stepped in, to raise funds for rebuilding the region. #SocialSupports: ARTery -a silent art auction, with all proceeds going to support the Nagaland Chief Minister's Relief Fund. While bigger cities get attention every season for the difficulties faced by their residents, the states in the North-East receive much lesser attention. In light of this, #SOCIAL has initiated #ARTery - so as to provide coordinated relief from across the five cities (that they're present in) to every afflicted area of the country via art, for a greater cause. Shobita Kadan, Director - Marketing & Strategy, Impresario Handmade Restaurants, said that SOCIAL is an integral part of the cultural landscape of the young urban consumer. "Both art and contributing to the greater good are things that matter to them - so why not bring both into one space? We wanted to provide a platform for artists who wished to contribute to the rehabilitations through their creations. Each stellar piece for the auction has been donated by independent Indian artists from across the country. The auction will kick-off with a live art piece on 27th September, where the artists will speak to the audience about their contribution and field questions from those in attendance. The art itself will be displayed at Sector 7 Social (right here in Chandigarh! ), and for a minimum price - you can drop by anytime, to make your own bid from the 27st September the 3rd October. So if you want to see how art can (literally) change the world, swing by #SOCIAL to pick your very own piece and contribute for the greater good, while you're at it. Chandigarh 27th September:- There are many things for which our Punjabis are known for as there are so many critical and difficult activities and situations in which only Punjabis can come out by doing one mischief or the other. And one thing out of them will be proved in the Punjabi Film by the name of "Parahuna" whicht would definitely give us a double dose of entertainment. The film is made under the banners of Dara Films Entertainment, Banwait Films and Seven Color Motion Pictures in association with Roadside Pictures, Directed by Amit Raj Chadha and Mohit Banwait, for this film the story and screenplay has been written by Sukhraj and dialogues have been written by Aman Sidhu, Tata Benipal and Sukhraj. 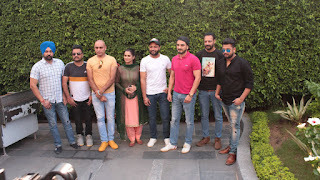 Produced by Mohit Banwait and Mani Dhaliwal with Co-Producer as Sumeet Singh the film stars Kulwinder Billa and Wamiqa Gabbi in lead roles along with Karamjit Anmol, Sardar Sohi, Nirmal Rishi, Rupinder Rupi, Gurpreet Bhangu, Harby Sangha and Hobby Dhaliwal in important characters too. Saga Group has taken the charge of guiding and distributing this project worldwide. The team was in the city to promote their film. 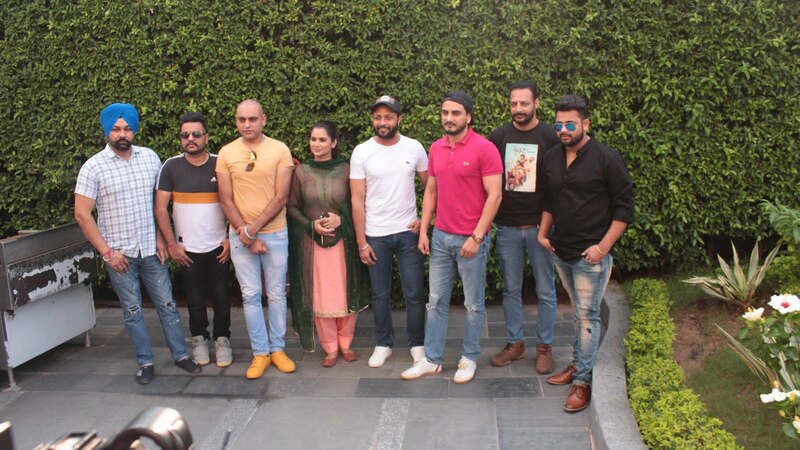 The Director, Mohit Banwait, said that we will not be able to reveal much about the story of the film but we can assure you that this film will make its mark in the punjabi cinema. 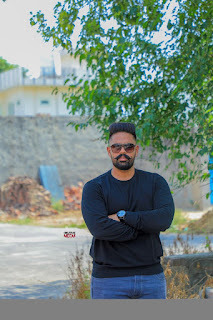 This is a comedy film and as we all know that comedy is all about the perfect timing and when we have a group of seasoned actors like Karamjit Anmol and Harby Sangha, we are sure that this film will also tickle the viewer's funny bone and as it is seen in the posters and the trailer too, it so much evident that the film will make you giggle on your seats. The singer and actor, Kulwinder Billa, said that the film will definitely give its audience a big scoop of comedy. This is his debut film and he is very sure that the audience will like and appreciate his character. The Producers, Mani Dhaliwal and Mohit Banwait also added that they are very hopeful that their this film will get a very positive response from the audience. The music has been prepared by The Boss, Mr. Wow and Music Nasha. There are five songs in the film which are sung by Kulwinder Billa, Rajvir Jawandha, Nachhatar Gill, Karamjit Anmol, Gulrez Akhtar and Tanishq Kaur whose lyrics have been penned down by Dharambir Bhangu, Ricky Khan Kuldeep Kandiara. Chandigarh 27th September:- Are you focused at achieving the best output for your educational institute's brand building? The trends today show that a website opens many great possibilities for educational institutes. The need for a reliable, attractive and effective web existence is increasing as internet and technology have become a vital part of the education process. Also, most people use internet to research about any institute.So, having a website makes strong impact on the image of your institute by increasing its visibility. It also helps to gain instant digital identity and global presence. CEO of Career Lift Ed-Tech, Nitil Gupta said that educational institutes have a lot to offer when it comes to serving the society. They strive to provide the appropriate education to their students. But most of their efforts go unnoticed because of not being present online. The same can be achieved through a professional web presence. To meet this need we made Edu-CMS, a website specially designed for Educational Institutes, be it coaching institutes, schools, colleges or universities.